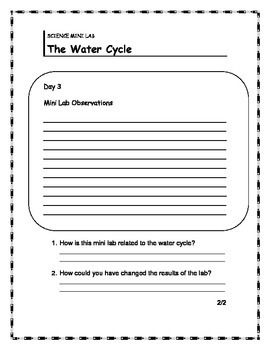 Next you will find a two page hands-on activity/ mini lab that involves the process of evaporation. 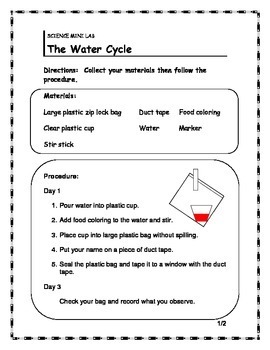 This activity will require large zip lock bags, small clear plastic cups, food coloring, water, duct tape, markers, and windows to tape the plastic bag to. 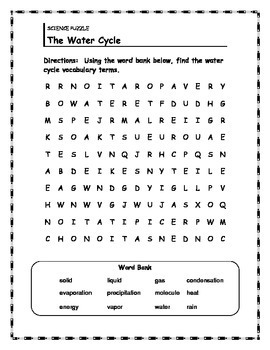 Finally, a short info sheet with four matching terms. 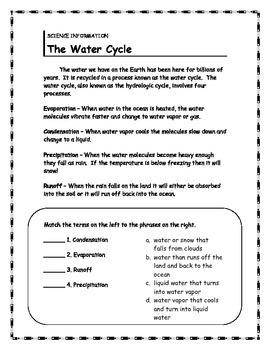 This is a great supplement to a water cycle unit for elementary students.